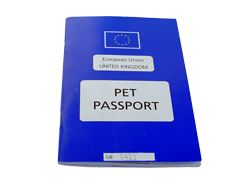 Kevin is registered with DEFRA as a Local Veterinary Inspector and is able to issue the new EU Pet Passports, as well as any DEFRA Health Certificates (with the appropriate paperwork) that are required for world-wide travel. 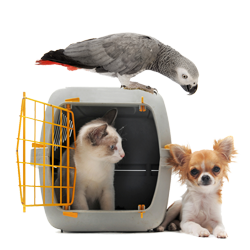 We can also issue the Veterinary Health Certificates that are required by any airlines you are using. Since 2012, travel to Europe and North America has become relatively straightforward and the Pet Travel Scheme has allowed pets from all over the world to come into the UK, once they have met the special requirements. Travel within the EU is easy, especially if you drive. For travel outside Europe, remember that in addition to the requirements of the UK, you must also meet the requirements of the country you are traveling to as well as the carrier you are using.